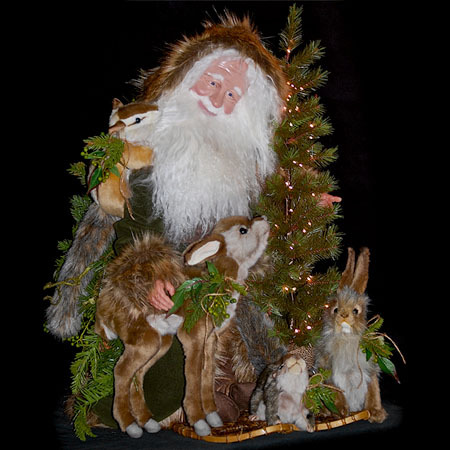 Our Northwoods Santa figure is a 26-inch handcrafted Woodland Santa. His face is hand sculpted in polymer clay with Victorian blue doll eyes and an extremely soft beard and hair of Tibetan wool. 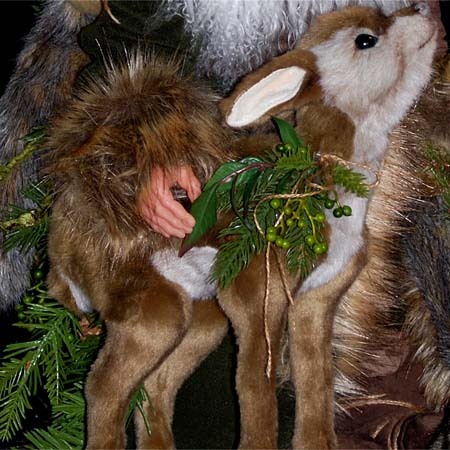 His robe and pants are made with fine, forest green Italian velvet and luxurious faux fur. His boots and cummerbund are created with dark brown pig suede. 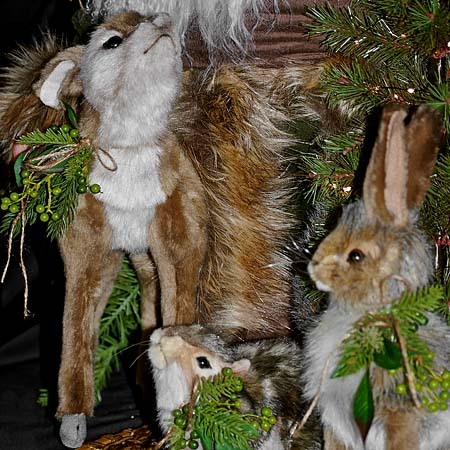 He wears snowshoes made by Native Americans and is surrounded by handcrafted, very realistic woodland animals including: a bushback deer, grey squirrel, chipmunk. and black tail rabbit. 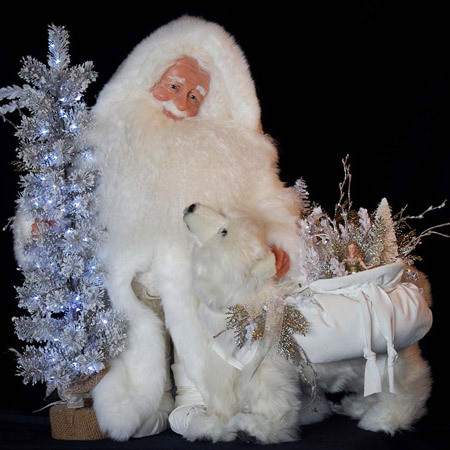 Underneath it all is a wooden body so that Northwoods Santa can stand alone without a doll stand, whether he is wearing his snowshoes or has taken them off for a bit of comfort. 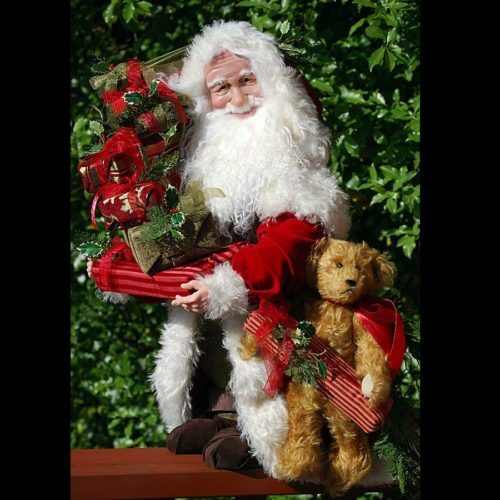 He is adorned with elegant greenery and a battery operated Christmas tree, which lights up the entire piece. 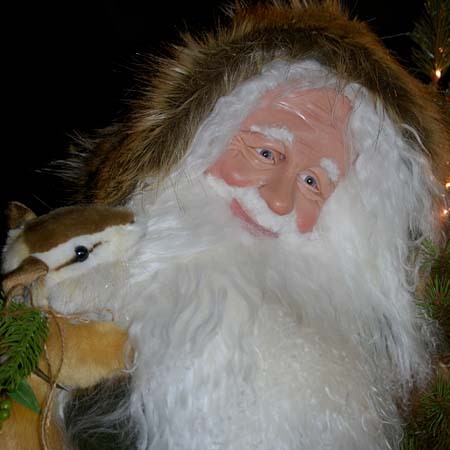 Northwoods Santa is designed so that he is a work of art, no matter where you are viewing him, because he is fully decorated on every side. 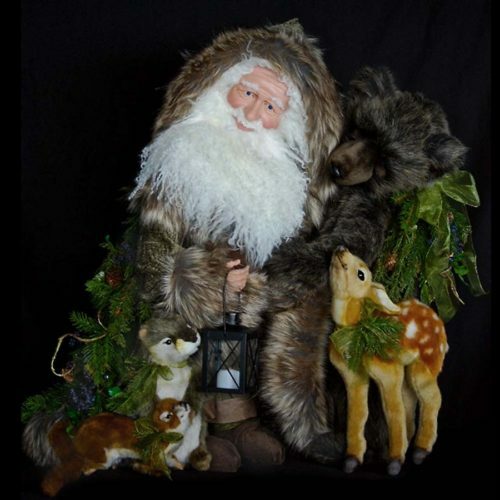 This Woodland Santa figure is a one-of-a-kind piece and is signed and dated beneath his beard, He is a true Christmas collectible.